Our staff will be here to assist you at anytime during your course of treatment with any question or concerns. Jennifer is a Registered Dental Hygienist. 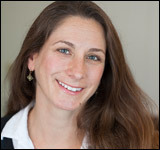 She is a skilled clinician who is passionate and conscientious about her work. With her many years of experience, Jennifer’s top priority is to provide gentle, personalized service and uncompromising care to her patients. She strives to always remain on the forefront of scientific and clinical advances in her field to assist you in achieving optimal oral health. Aside from her career, she enjoys traveling and spending time with her family. 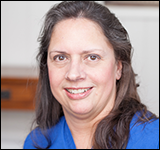 Karen has worked in the dental field for 16 years. She is the first smile you will see coming to the office and she will keep you smiling on your way out. She enjoys making your experience as stress-free and comfortable as possible, even before you see the dentist. She and her husband own a home in Kingston, NY. They love to travel, go to car shows, ride motorcycles and care for their Bischon Frise, Maggie. 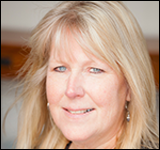 Dagny is a Licensed Certified Dental Assistant, she has been in the field for 30 years. Having worked several years in an orthodontic office, made her a perfect fit for this team as the orthodontic assistant. She truly enjoys the hands on part of her job, whether she’s tying in an Ortho wire, making retainer or taking impressions. 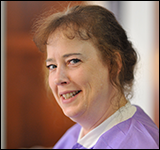 She enjoys working with people and making them feel comfortable while in the dental chair. When not at work, she enjoys the outdoors, hiking, bicycle riding and vacations. She enjoys spending time with her boyfriend, family and friends, most of all she enjoys visits from her son. Sharon worked in the dental field for over 10 years, after retiring to raise her children, she has returned to the dental office as a member of the front desk team. Whether speaking to her on the phone or meeting her in the office, you will always find her pleasant and willing to help. She enjoys spending time with her family and vacationing at the beach. 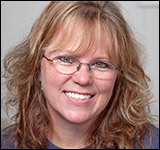 Leta has been a dental assistant for over 20 years. We are excited to have her at our office as she joined us in 2015. She loves to assist in surgery and see the positive changes we make in peoples lives. She plays championship softball, bowls and plays golf.